It’s a subject that’s increasingly making front-page news. Often, though, the media hone-in on the big businesses and multinational corporations that are targeted by Cyber Criminals. Very little is ever mentioned about how you and I are actually also prime targets. In fact, we’re higher on the list than the Sony’s and the Talk Talk’s of this world. Sure, the big businesses are key targets for the Cyber Criminal gangs and conglomerates that operate around the world. They’re after the big fish and the big paydays. But, the average Cyber Criminal? That often quiet and unassuming guy that no one would ever suspect? He’s only interested in the small fish – you and I – to make a few quid off. That’s not to say you or I aren’t potential targets for the bigger, global Cybercrime groups. We are. But whether it’s the big guns or the nerdy unassuming hacker at home, the bottom line is we all need to protect our PC from Cyber Criminals. Like most other crooks, Cyber Criminals are cunning. Probably more cunning than your average, ‘traditional’ criminal. Why? Because cybercrime often requires more thought, planning, intelligence and technical expertise to execute than, say, burglary. 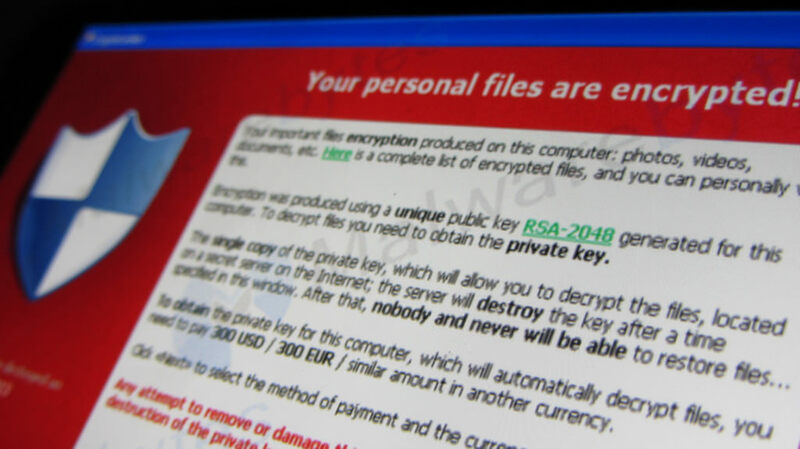 One of their most popular tactics is to use viruses, spyware and ransomware to infect vulnerable machines. Once infected they can either: A) Gain access to your personal information via your PC or, B) Take control of your PC and make on-screen demands for £500 or more to set your system free (common with ransomware attacks). The most effective way of preventing this from happening to your PC or Laptop is to ensure you install Antivirus Software, which also has Spyware, Malware and Ransomware blockers. There are even FREE versions of this software available, so you won’t necessarily have to put your hand in your pocket to get protection. It might seem like a no-brainer to not use easily-guessable passwords, like your Mother’s maiden name, your year of birth or favourite football team. You might also think someone would be super stupid to use the same password for their online banking, Facebook and pretty much anything else they need to log into online. Yet, 59% of people globally use the same password everywhere. That’s right. Just under two-thirds of PC users globally are using the exact same password – again, and again, and again. A safer, more secure solution is to use something like a Random Password Generator. These generators will create a complex password consisting of letters, numbers and symbols (e.g. Ad;6UE’59Uw) that will be almost impossible for a Cyber Criminal to guess. Whether it’s Windows or Apple’s MacOS, there are often fairly regular updates available for your PC Operating System (OS). Those little system notifications that pop up and bug the hell out of you, telling you to install updates to your OS, are doing so for a reason. Do you really need to update your Operating System? Yes! It’s absolutely critical. Not only will you often gain access to cool new features and an optimised user experience, your system will be more secure. The latest version(s) of any OS is always more secure and robust than the previous version. 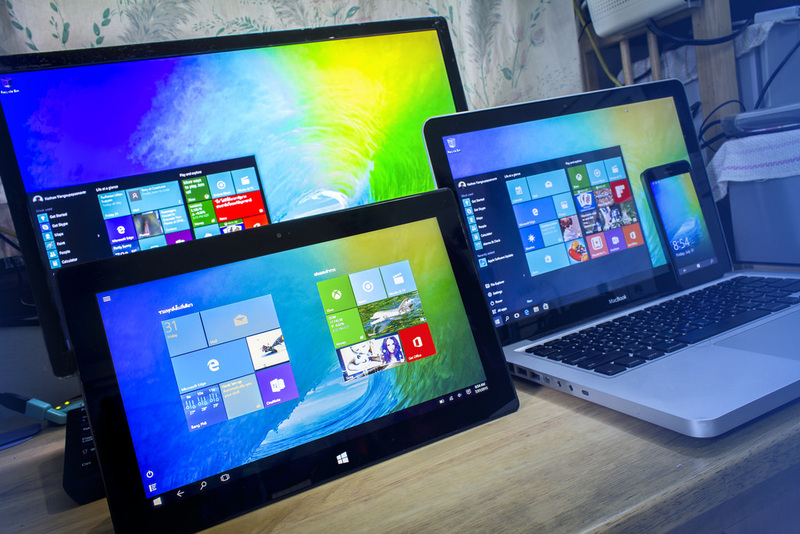 The likes of Windows & Apple spend millions every year to continually improve the OS’s they provide – with security being front-of-mind, now more than ever, in the development and improvement process. The big broadband providers have gotten very good at providing WiFi routers with complex passwords for network access. That’s a good starting point, for sure. But, if you want to truly secure your home network, you should consider using a Virtual Private Network (VPN). What a VPN will do for you is encrypt all traffic and any data leaving your devices at home until it reaches its intended destination. For you, this means that if Cyber Criminals were to access your network, all they’d see is encrypted data. In layman’s terms, a bunch of gobbledygook that’d be utterly useless to them. The internet is littered with them. They look the part, and seem completely legitimate. Fake eCommerce sites are a prime example. Offering products you want to purchase, you input your card details and complete checkout. The next minute you know, your card has been charged £1000 for a £30 pair of shoes. It’s always a good idea to do a quick Google search on the website/company you’re looking to make an online purchase with. A reputable and reliable company will often have online reviews, active social media accounts etc. A site built and operated by Cyber Criminals more often than not, won’t. Price too good to be true. Cyber Criminals are also getting very clever at mimicking big brand’s own websites, too. ALWAYS check the URL in your browser. I recently came across one that looked exactly like the Nike website (www.nike.com), but the URL was nothing to do with the Nike brand. We’ve given you a few pointers on how to protect your PC from Cyber Criminals. Some of them you’ll be able to action yourself with relative ease, like being vigilant about which websites you place purchases on. Don’t fall foul of cybercrime. Speak to a Geek today about bolstering your PC or Laptop’s security.